Mary firmly believes that every brewery owner should have a working knowledge of accounting and accounting principals. A very important part of my practice is to document brewery accounting. Mary is doing that by speaking and writing. These pages are a compliation of brewery accounting as she practices it. These resources will allows the brewery accountant and owner to "sharpen their skills" and allow them to craft a unique solution for each company. Ever hear a word that you didn't understand? Don't fret, the glossary is a compliation of accounting terms as used in the brewing business. Feel free to come back anytime to read about an accounting term and how it is used in the brewing industry. What does it take to be successful in the world of craft brewing? 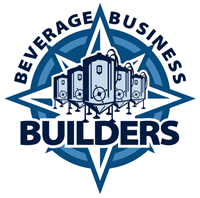 Download Mary's list of what it takes to build a strong brewery. So many people are handed the accounting and admininstratin duties keys without all of the knowledge to be successful. The CFO toolkit is a series of essays and downloadable tools that anyone can use to improve their accounting and operational systems.